Just because you are dead does not mean you have to stop accessorizing. 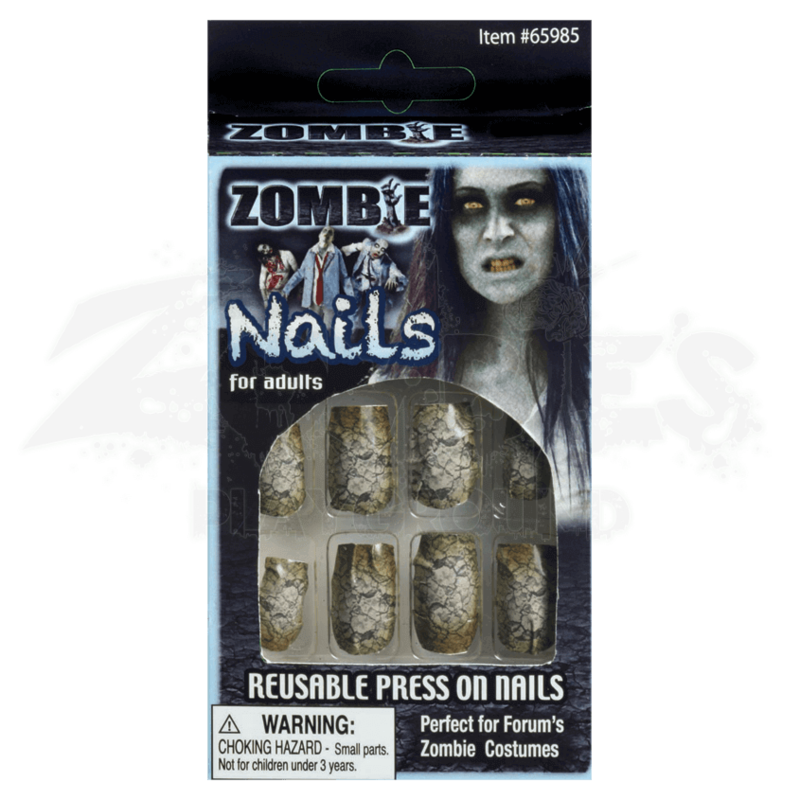 The Zombie Nails are the perfect addition to a zombie costume, as well as a great set of decorative nails for a woman to wear when she wants a deadly, cracked look. Unfortunately, these wicked looking nails are not nearly as effective as actual claws when it comes to reeling in your prey, but it is a relatively small price to pay when it comes to looking fashionable and stylish as a zombie woman. Each pack contains 14 press-on nails of different sizes, as well as 14 adhesive tabs for wearing them. Each nail features a printed design that depicts jagged cracks across the surface of a gray, brown, and green tinged fingernail, making these look perfectly dead. Instructions for wearing these nails are included. Being a zombie does not mean that you have to abandon all aspects of your human life. 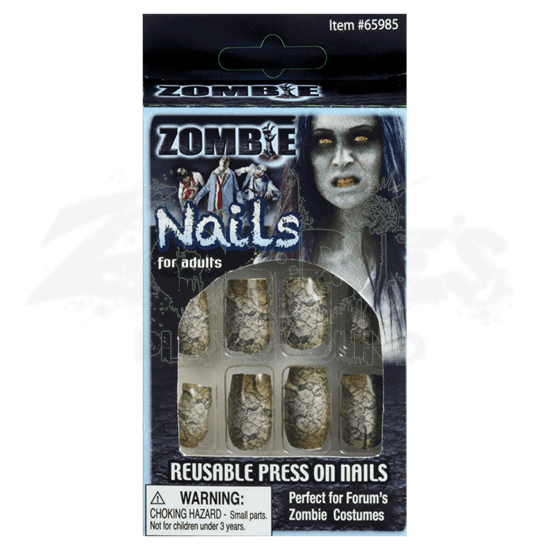 Accessorize your undead look with the Zombie Nails to ensure that you have a fabulous look that will attract attention from the living and the dead, both.